On Saturday, October 18th, from 12PM to 2PM, please join us for our “Not-So-Scary” Halloween Party with ghoulish games, freaky fun with reptile friends who’ll visit, and some frightening treats & snacks. 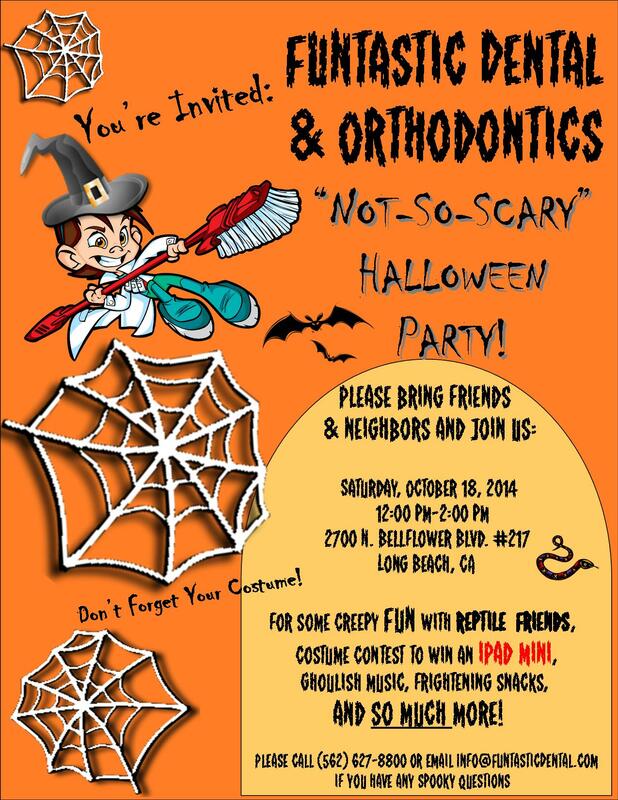 Wear your costume for a chance to win an iPad mini! And don’t forget to invite family, friends and neighbors. Call us for details (562) 912-2007.